Do you still remember the poor security guard named Alex who went to Raffy Tulfo last December? 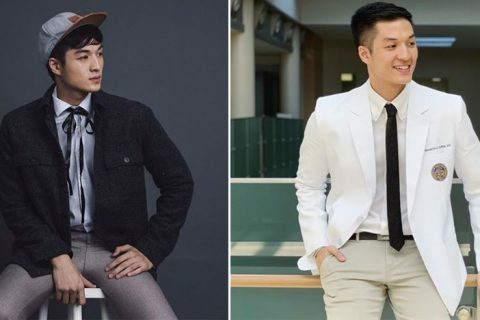 SG Alex seeks the help of the show because his agency abandoned him after he was electrocuted at work. Together with his partner, Josielyn Bueno, he told Raffy about how he was electrocuted while on duty. 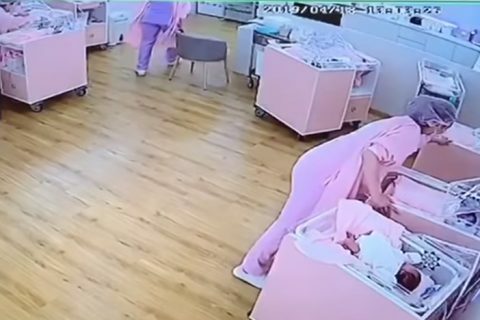 But instead of helping him, the agency and the company dropped him without much help. He was also unable to receive his benefits because they discovered that the agency was not really paying his Philhealth and SSS monthly contributions. The show called the Operations Manager of JNP Twin Eagle Agency, Arles Quiambao, Raffy angrily told him to take care of their worker, especially because he lost both his arms and sensitive parts of his body due to the accident involved while he was working for them. 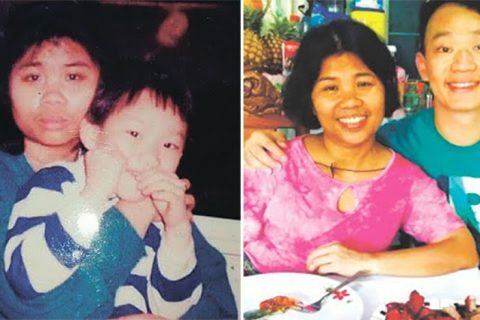 It was later revealed that the said company offered the couple Php20,000 and even wanted them to sign a “Quit Claim” contract after receiving that money. After having an agreement with the agency with the help of Raffy Tulfo show, Alex will now receive a substantial amount of money from them. 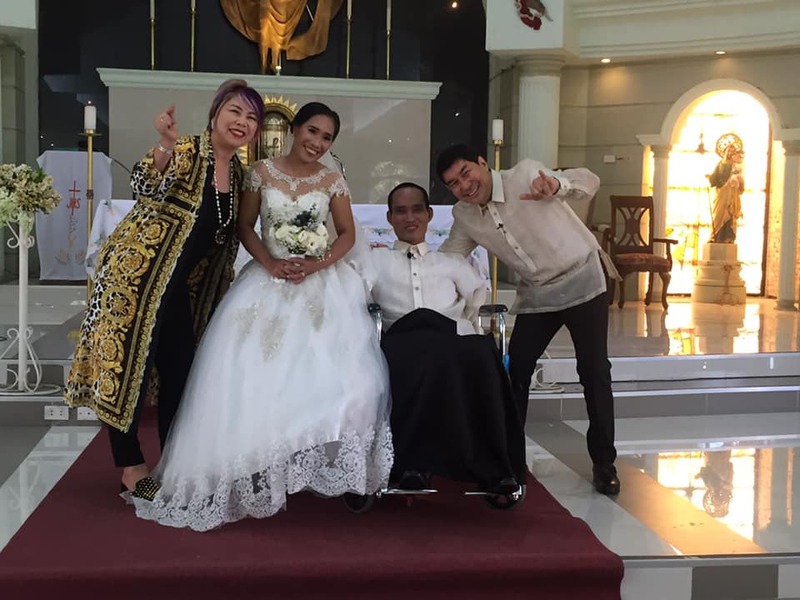 In the last part of the video, Raffy was seen while interviewing the couple about their plans. 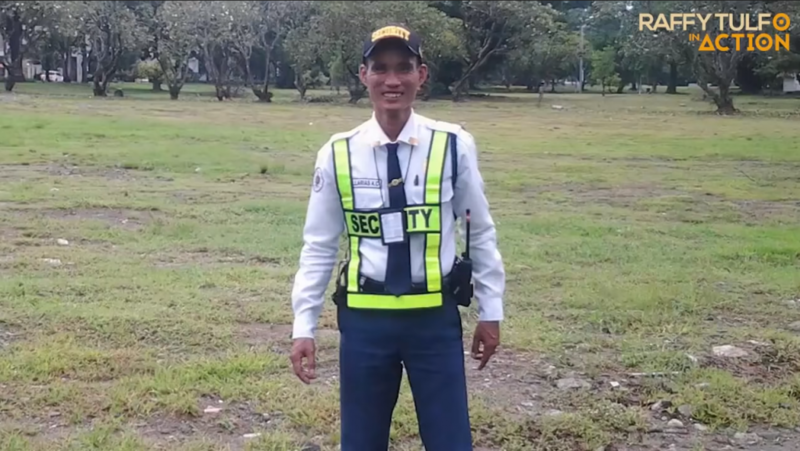 He admired the security guard for keeping a positive outlook in his life after the accident. 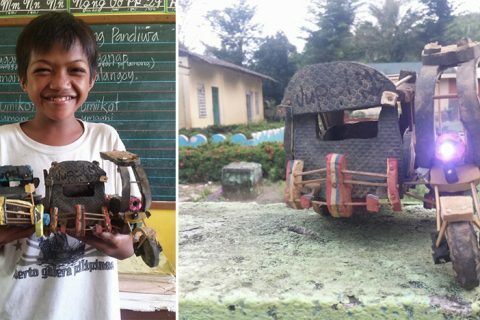 Raffy Tulfo said he would help them to make sure they will have a better life. He also promised to give them a sari-sari store and ‘carinderia’ if they get married. The host also cited a previous couple they helped who had a similar situation, the woman left her man after the show gave them a livelihood package. 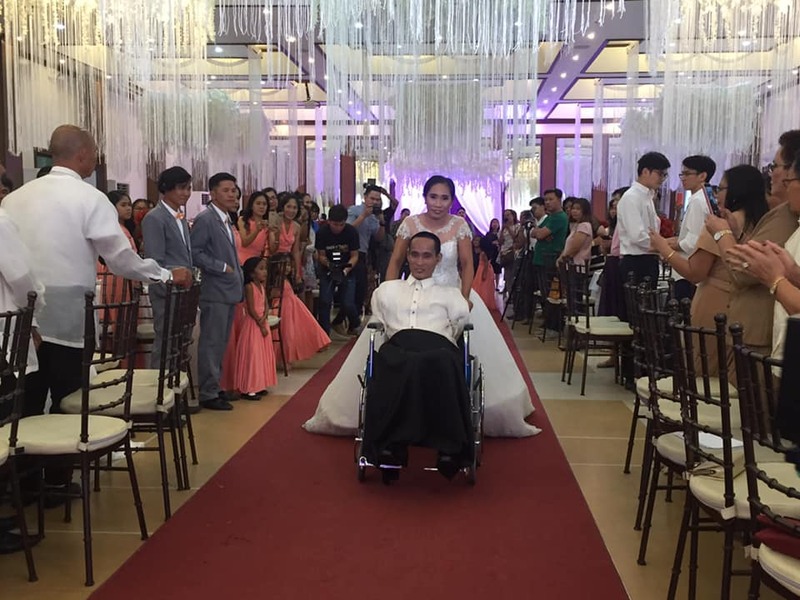 On the other hand, Josielyn promised Raffy to stick with Alex, followed by a touching message from Alex, who said that she didn’t even leave him in his worst days at the hospital. 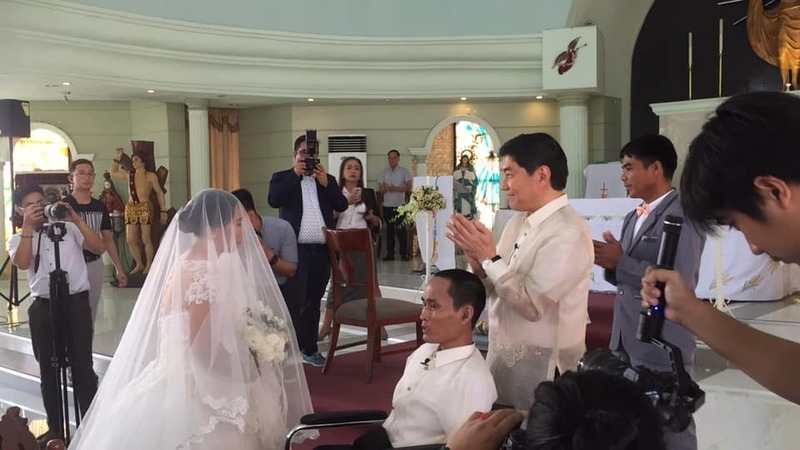 Raffy Tulfo kept his promise and he sponsored the couple’s wedding! Aside from that, he also attended the event personally. 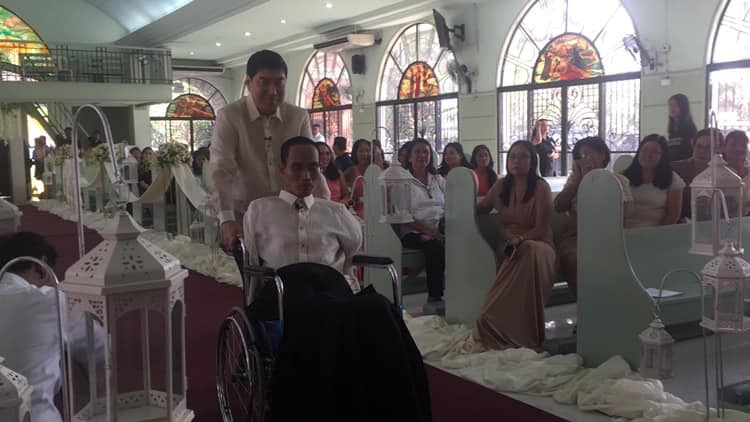 As seen in the photos, Raffy was the one pushing Alex’s wheelchair down the aisle. 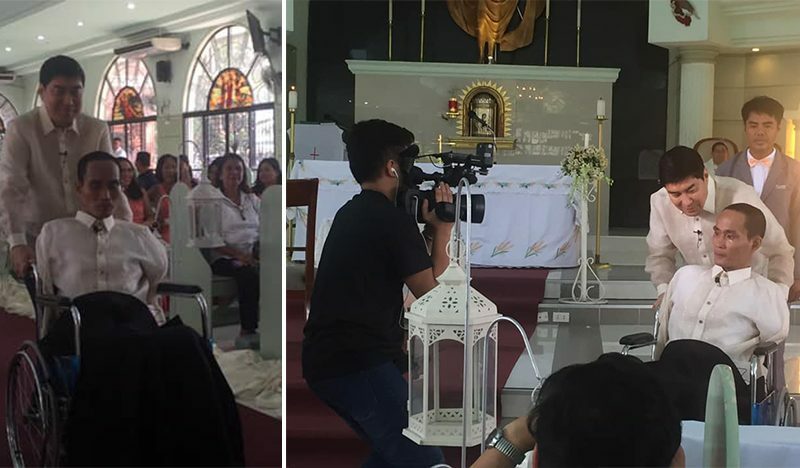 Netizens were happy and impressed that Raffy Tulfo did this for this security guard and the woman who never left his side. You can also see tears of happiness in Alex’s eyes as he could not believe this was really happening to him. 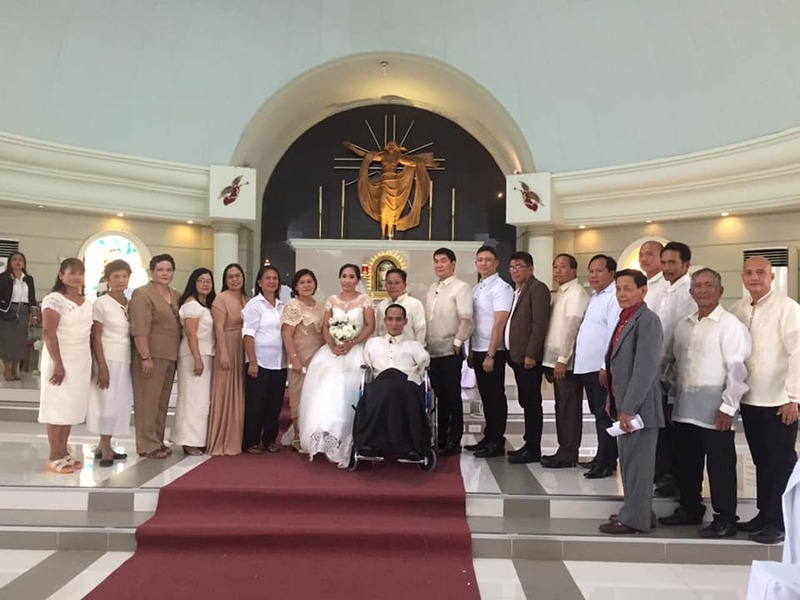 The grand wedding was held last February 2 and made possible by those people who also got inspired by Alex and Josielyn’s love story.